A stroke is a brain attack. A stroke is a serious life-threatening medical condition that occurs when the blood supply to part of the brain is poor or cut off. A stroke is a medical emergency. Prompt treatment is crucial. Early action can minimize brain damage and potential complications. Thrombotic stroke: A thrombotic stroke occurs when a blood clot (thrombus) forms in one of the arteries that supply blood to your brain. A clot may be caused by fatty deposits (plaque) that build up in arteries and cause reduced blood flow (atherosclerosis) or other artery conditions. Embolic stroke: An embolic stroke occurs when a blood clot or other debris forms away from your brain — commonly in your heart — and is swept through your bloodstream to lodge in narrower brain arteries. This type of blood clot is called an embolus. Intracerebral haemorrhage: In an intracerebral hemorrhage, a blood vessel in the brain bursts and spills into the surrounding brain tissue, damaging brain cells. 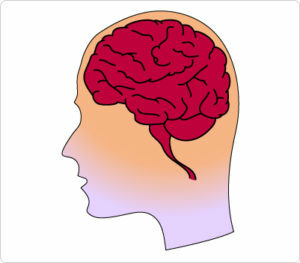 High blood pressure, trauma, vascular malformations, use of blood-thinning medications and other conditions may cause an intracerebral hemorrhage. Subarachnoid haemorrhage: In a subarachnoid hemorrhage, an artery on or near the surface of your brain bursts and spills into the space between the surface of your brain and your skull. This bleeding is often signalled by a sudden, severe headache. Strokes occur quickly, so symptoms often appear suddenly and without warning. >Confusion – including trouble with speaking and understanding. >Headache – possibly with altered consciousness or vomiting. >Paralysis or numbness of the face, arm or leg. >Trouble seeing – in one or both eyes. >Trouble walking – including dizziness and lack of co-ordination.